The hot colours really pop out when set against the blue-grey background… very cool! That’s a great image, Mike. That is a zinnia. Nice shot! Thanks for the confirmation–I just don’t know my flowers very well. Very, Very Nice Mike! 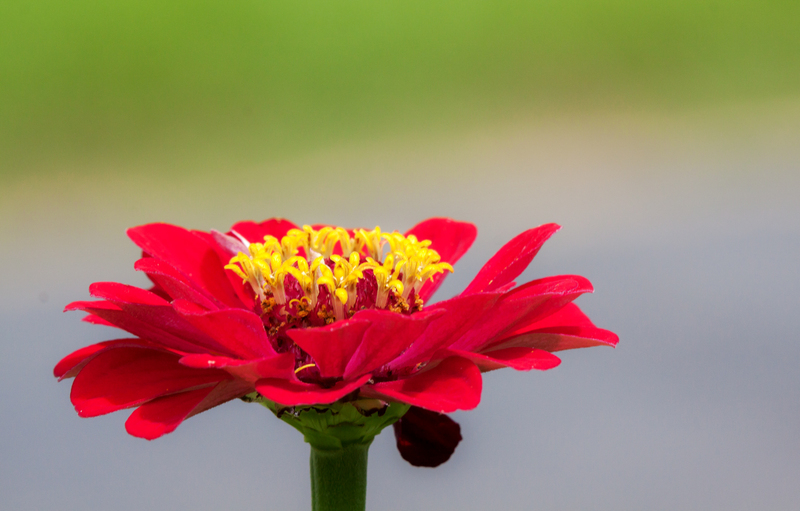 Also like the soft background, really makes the Zinnia stand out! Well Done! The blurred background makes the flower stand out more. Photographers often try to get a blurred background when shooting portraits, so I figured I’d use the same approach for a portrait of a flower. Also used to great effect in movies.